Get a handle on your envelopes with this full ADSR, voltage controlled, envelope generator from Erica Synths. 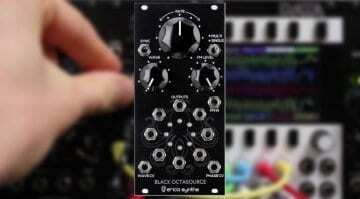 You can push it further with the Black VC EG Expander module. 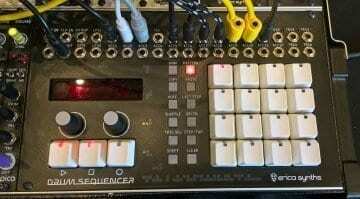 It opens up each active envelope stage as an advanced modulation source. Envelopes can be a bit utility and so it’s good to find one offers a fair amount of creativity. 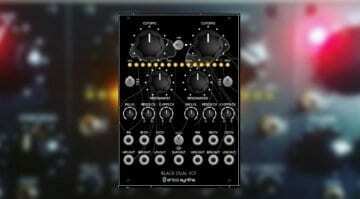 As always with Erica Synths the theme is darkness, but at 10HP this one is a bit more compact than most of their modules. The ADSR shape can be set to linear or logarithmic and each stage has it’s own CV input with individual attenuators for maximum control. Patch something into the Gate input to start the envelope. If there’s nothing in the Gate input then it automatically assumes that you want it to loop. The length of the loop is defined by the A and D values. The trigger input retriggers the envelope at any stage and can initiate AD rather than ADSR envelopes. The front panel has lots of little LEDs to indicate which stage is active and the input/output status. It’s a very tidy and comprehensive envelope that gives you a lot of scope for shaping the amplitude of your sound. The looping and retriggering give it some creative scope that lifts it to a more interesting level of functionality. But it’s probably the expander that really pushes it into very cool places. The expander connects with a ribbon cable at the back and basically gives you a load of features you’d never thought of before. It generates logic gate or CV output for each envelope stage. The logic output simply applies 5v to the output whenever the envelope stage is present. In CV mode the output follows the voltage change created by the relevent envelope stage. You’ve essentially split the envelope up in the four parts for independant use. 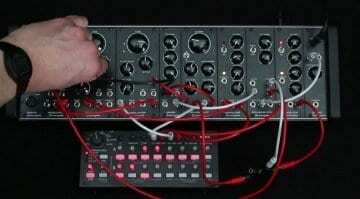 At the botton of the module you have three further outputs that reflect the output of the original envelope. The first one is Bipolar, biasing the envelope to -5v to +5v. The second output generates and inverted envelope. And the third output is a copy of the original. The Black VC EG is a great and useful envelope but when combined with the Expander it becomes a very clever modulation device with all sorts of possibilities. Something as simple as doubling up on the envelope outputs, having two going to different VCAs or an inverted one all modulating different sound sources, but all following the same movement, can be enormously useful. 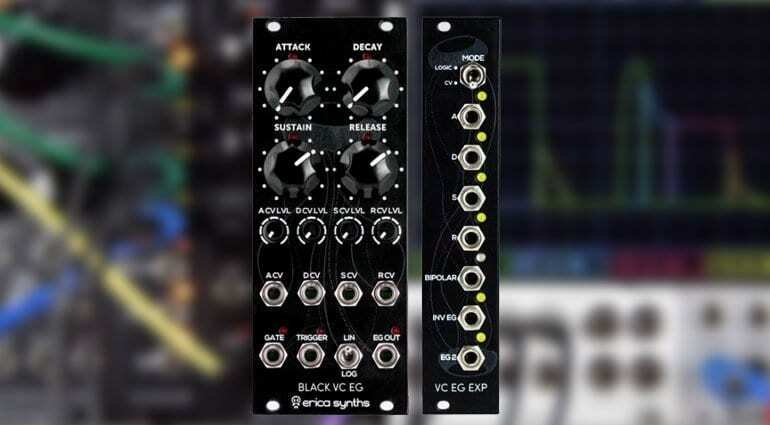 The Black VC EG is €190 ex VAT and the Black VC EG Expander goes for €95 ex VAT. As a combination it does start to feel expensive but you’re not going to have another envelope quite like it in your rack. More information on the Erica Synths website.